Citibank recently introduced a brand new 2% cash back credit card called the Double Cash Card. This MasterCard offers unlimited 1% cash back on all of your purchases, and then offers an additional 1% cash back when you pay for those purchases. If you’re looking for a straight cash back credit card, this one is hard to beat. Previously, the best option for earning 2% cash back on all of your purchases was the Fidelity 2% American Express card. The Fidelity 2% card has a few downsides. Not all merchants accept American Express. Also, you need to have a Fidelity Cash account to deposit your rewards into. My favorite daily spend credit card has been the Barclaycard Arrival Plus MasterCard, since it earns 2x miles on every purchase. With a 10% rebate on miles redemption, the Arrival Plus credit card is effectively a 2.2% cash back credit card when used to make travel related purchases. If you’ve used up all of your Arrival Plus miles (including the big 40,000 mile sign up bonus), the Citi Double Cash Card is a great card to switch your daily spending to. This card earns 2% cash back on every purchase. Minimum redemption of cash back is $25. There are no restrictive categories. There is no limit to how much cash back you can earn. To top it off, the Citi Double Cash Card has no annual fee. If you have an old Citibank credit card that you’re not using, you can have a Citibank representative perform a product conversion of your old Citibank card into a new Double Cash Card. In my case, I downgraded my American Airlines Visa Platinum credit card (with $95 annual fee) into this new card. Product conversions are completely free. Downgrading your card allows you to keep your existing credit history. No new hard inquiries are applied to your credit report when you downgrade a card. To downgrade my American Airlines Platinum Select Visa card, I simply called the number on the back of the card. I asked a rep to perform a “product conversion” of my current card into the new Double Cash Card. It took about 10-14 days for me to receive my new card. This will be my new go-to card for everyday spending. 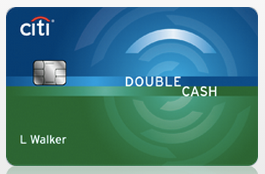 You can read some more discussion about the Citi Double Cash Card here on Flyertalk. If you don’t have and old Citibank credit card to convert, you can apply for a new card at Citibank.com. However, there are much better credit cards with much bigger sign up bonuses I would apply for before the Citi Double Cash Card.